Using microfilm in the Abraham Lincoln Presidential Library, I recently discovered accounts of this namesake town speech in the Bloomington Daily Pantagraph and the Chicago Press & Tribune. Previously the only known primary source account of this speech was an article in the Illinois State Journal of Springfield, Ill. These new discoveries are significant because each article adds new details to help us better understand this major but long-neglected rally-speech. I have submitted these new discoveries to those who sponsor and manage The Lincoln Log. It is the official account of the known day-by-day activities of Mr. Lincoln, and this official account is available online. The Lincoln Log is part of The Papers of Abraham Lincoln project. "The final product for The Papers of Abraham Lincoln will be a freely accessible comprehensive electronic edition of documents written by and to Abraham Lincoln, as well as reports of his speeches and other writings." (http://www.papersofabrahamlincoln.org/). The Papers of Abraham Lincoln is jointly sponsored by the Illinois Historic Preservation Agency and the Abraham Lincoln Presidential Library and Museum. Below you will find the message I received telling me that my discoveries will be added to The Lincoln Log. 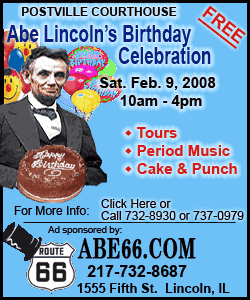 Links to copies of the articles in the Pantagraph, Tribune and State Journal are posted on the home page of my community history Web site: http://www.geocities.com/findinglincolnillinois/. Take care till a bit later. Thank you for your helpful e-mail regarding Lincoln's 1858 speech in Lincoln. I have forwarded the materials to Marilyn Mueller, who is handling the updates to The Lincoln Log. I have suggested that she cite both the Bloomington Pantagraph and the Chicago Press & Tribune reports in the bibliography for that entry. 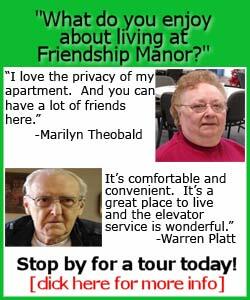 She may contact you for page and column number information. The updates will probably not appear for a while, but they will be there eventually. One quick clarification: The 1886 History of Logan County was cited for biographical information on Samuel C. Parks, rather than for the event itself. As you may know, the citations in Lincoln Day by Day, on which The Lincoln Log is based, were rather Spartan, and we sometimes err in the opposite direction in our efforts to be clear about our sources. None of the newspaper reports seem to identify who Parks was, so we cited the county history to let researchers know where we got information on Parks. Thank you again for your assistance in improving The Lincoln Log. I found your e-mail address on the contact page of The Papers of Abraham Lincoln. I am an amateur historian with a particular interest in Mr. Lincoln's activities in Lincoln, Illinois -- the first Lincoln namesake town and my hometown. Oct. 16, 1858, the day after the last Lincoln-Douglas debate in Alton. I see that the entry for this event in The Papers of Abraham Lincoln cites the Daily Illinois State Journal and an 1886 History of Logan County, pp. 297-8 as sources for this event. I have looked in my copy of the 1886 History of Logan County but find no reference to this event on those two pages. I have attached JPEGs of those pages for your convenience. I have skimmed this book, and the only references I find to Mr. Lincoln's activities in Logan County are on pages 303-4, but again no reference is made to the 10-16-1858 rally-speech in Lincoln, Illinois. If I am overlooking something, please let me know. I have, however, found two other sources documenting this rally-speech, and I am attaching JPEGs accordingly. On the day of the rally-speech, the Daily Pantagraph of Bloomington carried an article urging readers to attend the event in Lincoln. Two days later, the Pantagraph published a brief description of the event. Also, the Chicago Press & Tribune published an account of this event on Oct. 21, 1858. I am attaching a JPEG of the full page of the Tribune, and the Lincoln, Ill., article is the last one in the third column. I am attaching another JPEG to provide a more readable version of the Tribune article. Sorry for the several large files, but I hope this information will be useful to strengthen the documentation for this event in The Papers of Abraham Lincoln. Feel free to let me know if you have questions.